OutFront: Genderqueer Advocate Jeffrey Marsh on "How to Be You"
Social media star Jeffrey Marsh has advice for people who are struggling to be themselves. “You’re going to have to learn to look inward and discover things about yourself without judging what you discover. That is possibly the hardest thing for a human being to do. But it is the only chance if you want to live a happy, healthy, free life,” Marsh told NBC OUT. That’s something that was especially difficult for the 39-year-old artist, who identifies as genderqueer and prefers the non-binary pronouns they and them. 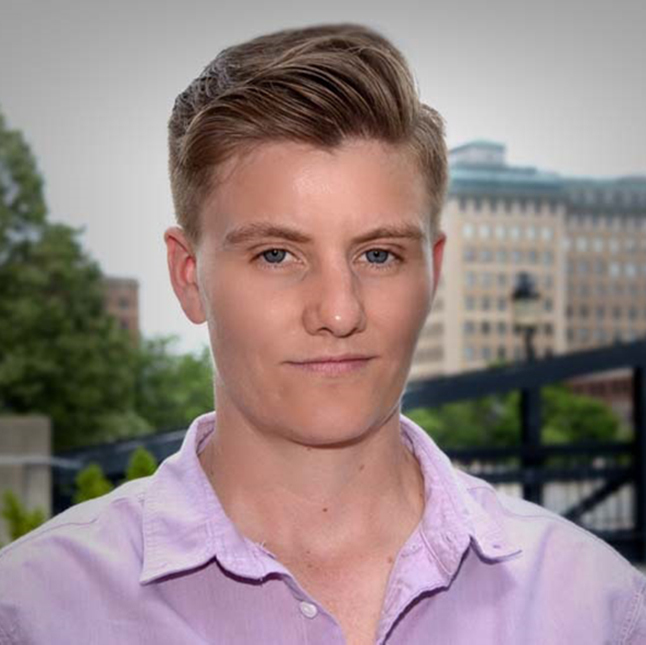 Marsh grew up experimenting with gender identity in rural Pennsylvania. Since childhood, they loved wearing feminine clothing and makeup. But things got hard in middle school, where Marsh was bullied verbally and physically almost every day. “The usual stuff that happens when you’re queer and different in school in a rural town,” Marsh said. The attacks got to be too much in the sixth grade. Marsh went home after one particularly bad day and drank a bottle of cleaning fluid. “I wanted to end everything. Couldn’t take it anymore. Couldn’t go to school anymore,” Marsh said. But it was a failed attempt. Marsh’s mother came home and called poison control. Though Marsh survived, things continued to be difficult for them. Marsh discovered peace through doing what they loved. “I became obsessed with escaping through musical theater and I would escape through my imagination,” they said. It’s a passion that drove Marsh to launch a career in cabaret after college. After becoming a hit in Philadelphia’s cabaret scene, Marsh took their skills to the social media stage. Marsh has become a sensation on Vine, where many of their motivational six-and-a-half second videos (more than 800 in total) are viral hits. “Each one has a certain aesthetic and artistic expression. The way that [it] is framed is intentional. The colors are intentional. The makeup is intentional. The outfit is intentional. Those sort of artistic choices are very specific, but the method is all over the place,” Marsh said. All of Marsh’s videos have a common theme: how to be you. The most popular video has more than 30 million views. In it, Marsh is staring directly into the camera with big blue eyes, mascara and lip gloss. “I can predict the future, and you’re going to be OK,” Marsh tells viewers. “[All my videos] are artistic expressions. They’re all my babies. And I love them all. That one, I think hit a nerve for people who are anxious about their future… In that video, I was just honest. I mean, that’s the truth. You are going to be OK. And I think people loved being reminded about that truth,” Marsh said. “It just feels like I have buckets and buckets and a big swimming pool filled with gender, and I like to express it in different ways and different times of the day and different days,” Marsh said. Marsh talked about their new book “How To Be You.” Part memoir, part self-help, but also a workbook, it’s “a love letter” to Marsh’s 11-year-old self. “It’s this weird hybrid of these three worlds," Marsh said. "They all work together to help you understand how to be happy again. How to live a full life. How to give up those judgments of yourself that you’ve been carrying around since you were a kid, and be free." It’s a journey Marsh has lived and learned, and one they hope to pass to others.